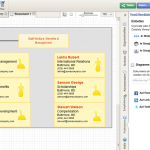 I really hope you enjoyed the glut of posts we published, which covered UML diagrams and Org Charts, recently. You can bet we got more knowledge-based posts coming your way this week. But we just had to break up this exciting trend for some other exciting news. Remember how we told you about how Creately got faster with its response time earlier this month? Well, now we’re eager to let you know that we put in some hard work to sort out quite a few bugs, like those that are related to opening up diagrams and the behavior of connectors, for good. All this, just so you can enjoy uninterrupted, intuitive, and easy and fast diagramming with just a click or two. And there’s more swell news. 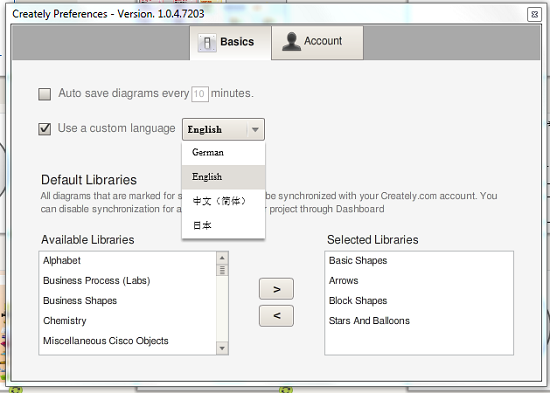 It’s just over a month since we got Creately and Creately Desktop up and running in German. Thanks to our Localization Program, we’ve got both Japanese and Chinese added onto our language portfolio as well. Of course, none of this would have been possible without the hard work put in by Tatsuya Aoyagi and Cai Ping. So, gentlemen, on behalf of the Creately team, here’s a massive THANK YOU for your support! Is there a difference in the kanji characters for the Japanese version and the Chinese version?